Sometimes I look at my old stuff and can’t help but think “what the hell is past me smoking?” My floor, wall, door and all other entity layering/sorting render logic is stupidly complex. It’s not necessarily bad and it’s advanced enough to have some nifty features. But I really don’t want to spend any more time fixing all the issues. I am spending too much time polishing the perfect visibility logic when no one actually cares and would never notice if the effect floats a bit “to the side” or something. And these two are just the scenarios that happen all the time. There’s tons of issues with bosses and collisions and all manner of weirdness where being complex means needing lots of tweaking. So I think I will just get rid of it all — layering, multi-overlay walls, etc. I will have to fix actual sprite use though in a bit. 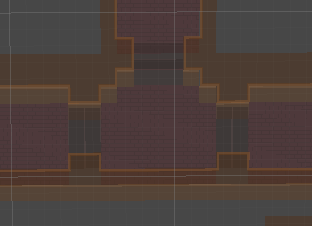 I also get to remove a bunch of code I don’t need, like styling precedence for overlapping, tracking of spawned removable tiles since I make removal decision immediately and various other semi-complex checks. I am now missing wall top bits, that used to be made up of sides/corner/tips, but I am unsure I will be doing that sort of mess again. I think it’s just simpler to make the source sprites. 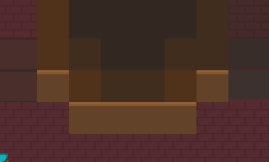 In fact, nothing can ever appear below tiles, and that’s perfectly fine by me at this point. I still have lots of things to fix and streamline for graphics that I will cover next, but for now this big refactor sets up a (simpler) base to work off. I don’t even have a good joke about refactoring for the nth time.